Crystal Mountain – Crystal Mountain, the Midwest’s Premier Four-season Family Resort, is a family-owned year-round resort featuring 36 holes of championship golf, 50 downhill slopes, over 250 superb lodging units, dining and award-winning conference facilities. Honor Motel – Classic “Mom & Pop” establishment offers traditional Motel lodging with a personal touch. You will find 16 clean, comfortable and modern rooms with all the amenities in a beautiful small town country setting. 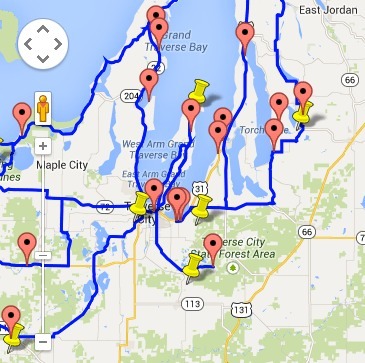 Lake ‘N Pines Lodge – Enjoy the beauty and splendor of the great up North. It really is an artist’s palette of colors during the seasons. The vivid colors are a great backdrop for the blue waters that surround the area. 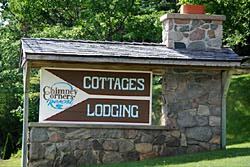 Chimney Corners Resort – Bring family and friends to enjoy simple pleasures in our Crystal Lake Cottages or Apartments. 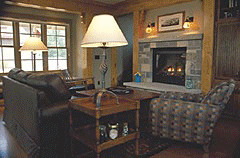 Or spend a night in our B&B Lodge. 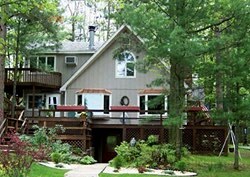 Located on the shores and bluffs of Crystal Lake, with 1,000 feet of sandy beach, acres of wooded hills, playground areas and a tennis and basketball court. All have fireplaces and beautiful views. Sleeping Bear Resort – Sleeping Bear Resort has clean, modern lakefront cottages with fully equipped kitchens and living rooms for your northern michigan stay.